School of Education and Social Policy graduate students Liz Jackson, Hernando Sevilla-Garcia, and undergraduate Christina Parker will help experts and leaders from around the world tackle today’s most pressing social and environmental sustainability challenges at the 11th annual Clinton Global Initiative University (CGI U) conference. The three-day, invitation-only leadership summit will bring together approximately 1,500 students from 397 schools and 112 countries. Northwestern University, which will send 25 students this year, joined the CGI U Network in 2014 through the Institute of Sustainability and Energy at Northwestern (ISEN). To be eligible for the conference, held this year at the University of Chicago, students must work individually or in teams to develop new initiatives to address issues related to education, environment and climate change, peace and human rights, poverty alleviation, and public health. 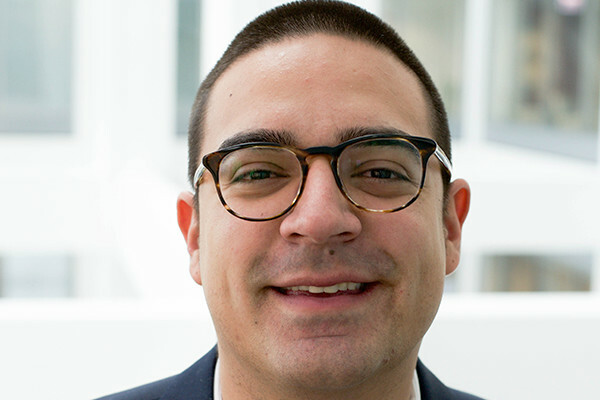 Sevilla-Garcia and Jackson, who are both pursuing master’s degrees in SESP’s Higher Education Administration and Policy program, are building an interdisciplinary, service-learning study abroad program for underserved Latinx students—a group that comprises 17.3 percent of enrollment in higher education in the US but only 9.7 percent of students studying abroad. SESP’s Parker, who is studying both social policy and global studies, is working with Kaitlyn Poindexter and Sophia Liu of the Weinberg College of Arts and Sciences to create a community-based gardening program to help combat food insecurity in the Chicagoland area. The invitation to the global summit means “our project will have the necessary platform to engage with the appropriate stakeholders in order to make this dream a reality,” Sevilla-Garcia said. “This once-in-a-lifetime networking opportunity will allow our project to build collaborative partnerships to enhance the final outcome,” he said. Hosted by Bill and Chelsea Clinton, past speakers at CGI U include global policymakers, social enterprise leaders, scholars, and commentators such as Madeleine Albright, Jack Dorsey, John Lewis, Jimmy Wales, Muhammad Yunus, Hawa Abdi Diblawe, and Stephen Colbert (C ’86, H ’11). ISEN works closely with student teams to develop and implement impactful projects and funds their participation at the event. Launched in 2016, ISEN’s Resnick Family Social Impact Program also provides scale-up project assistance of up to $25,000 to interdisciplinary Northwestern student teams at CGI U and elsewhere. Sevilla-Garcia, Jackson, and Arzu Singh are creating an interdisciplinary, service-learning, faculty-led study abroad program in Mexico for Latinx students from three Hispanic-serving institutions (HSIs) in Chicago. The team will partner with three HSIs, Northwestern University, study abroad organizations, and an affiliate university in Mexico to develop a curriculum with a service-learning component. The team hopes to send the first cohort of 7 to 10 students in summer of 2020 for a two-week program. This program will increase the number of Latinx students from HSIs studying abroad and enhance cultural exchange between future leaders of Mexico and the United States at a time of political tension. Parker, Kaitlyn Poindexter, and Liu are creating a community-based gardening program to help combat food insecurity in the Chicagoland area. They will develop a gardening curriculum to help community leaders and elementary school children learn about nutrition and implement sustainable gardening programs. The team will teach the children about entrepreneurship by selling the produce back to the community for a low price and partnering with local organizations and schools to gather supplies, create a curriculum, and start a garden. The group expects to implement two fully functional, sustainable community gardens and have a foundation for expansion in 21 months.